Ca. 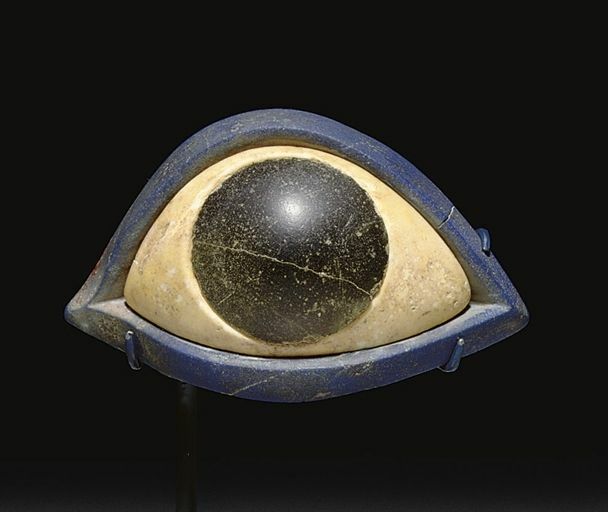 2500 BCE statue eye. Thick Lapis Lazuli beveled to hold the white limestone which forms the eye’s sclera which is drilled to receive the black stone pupil. Sumerian.